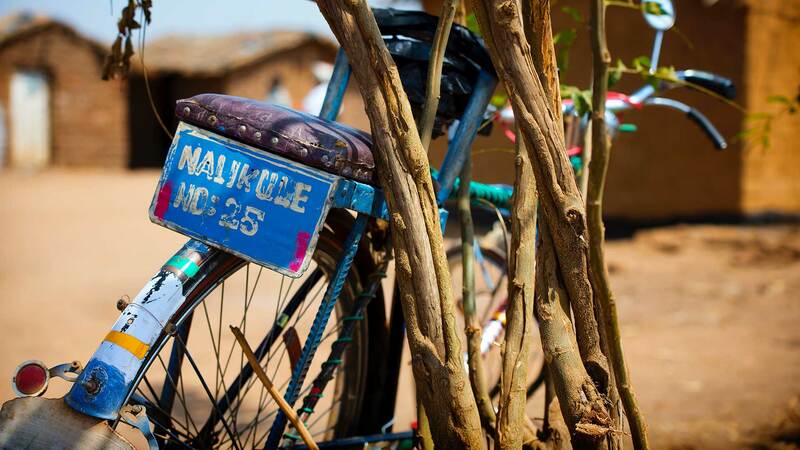 This thesis describes the role and impact of bicycles on households in rural Nshamba, Tanzania. A traffic survey conducted by the researcher showed that riding bicycles is the most prominent mode of transport after walking in this area. From survey results, the bicycle’s main purpose is to support income generation. Using a bicycle offers various improvements as compared to walking B new businesses are possible, marketing opportunities are expanded, time efficiency is improved and productivity increased. Prices and profits are also positively affected by the reduction of transportBrelated expenses. The work effort can be passed to the bicycle, reducing the user’s physical strain. The study shows clear functional differences between Chinese Phoenix bicycles and the Swiss secondhand bicycles distributed by a local partner of the Swiss NGO Bicycles for Africa. The inherent mechanical properties of the two bicycles define the practical utility and relevance for a particular kind of work. The Phoenix is considered to be a “productive tool” at the most basic level. Without a Phoenix, many consider incomeBgeneration as inconceivable. VBC bikes, on the other hand, are impractical to transport carriage, and therefore seen primarily as a mode of transport to effortlessly move from one place to another. They thus address different job profiles. Using the bicycle for business purposes adds to the family income, which is further invested into core assets including basic goods such as food and clothes, accommodation and farm animals. By supporting the “asset accumulation process”, the bicycle contributes substantially to the reduction of a household’s vulnerability to internal and external shocks and steadily improves a household’s socioBeconomic position. Users of bicycles recorded to also have more time that could be invested into productive, reproductive, social and recreational activities. The process of buying a bicycle is deliberate, enduring, and demands a substantial initial investment. Households must undergo a period of financial strain or cutbacks that affect household expenditure, investment and consumption patterns. Strategies include consumptionBbased, financialBbased and riskB associated alternatives. That people make sacrifices over a substantial period of time signals the value that the bicycle holds for rural households. Families commonly share bicycles. Only few bicycle owners assert exclusivity to its utilization. However, hierarchy levels within the family dominate access to the bicycle. The highest income earner usually enjoys the greatest benefit and is the ultimate decision maker over the bicycle’s range of beneficiaries. Findings also show that due to inherent gender roles and traditional perceptions regarding the distribution of labor within a family, women do not yet enjoy the full potential of a bicycle. It is expected that the presence of VBC bikes and their line suitable for women will have the potential to accelerate the usage of bikes among women. Within the society, the bicycle plays an important role regarding schooling and healthcare. Children save more than 70 minutes per day on their school journey compared to those who have to walk, and invest the time in chores around the home. Interviewees recorded lower physical strain and higher scope of pre and after school activities as well as an increased feeling of security when travelling, particularly among girls. The interviews also conveyed that a certain status or feeling of prestige is attached to (owning) a bicycle. The bicycle is consequently a valuable possession in each beneficiary’s household. In light of these findings, the study suggests to improve credit mechanisms for bike purchases, particularly for women. Students should also benefit from special rates in order to have access to bicycles. It is also suggested to improve the availability and quality of spare parts, tools and mechanics in rural areas. Furthermore, the loadBcarrying capacity of VBC bikes should be increased. Last but not least, institutional improvements and maintenance of routes can increase the loadBcarrying capacity and lower the frequency of bicycle breakage.